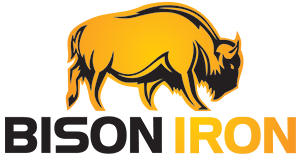 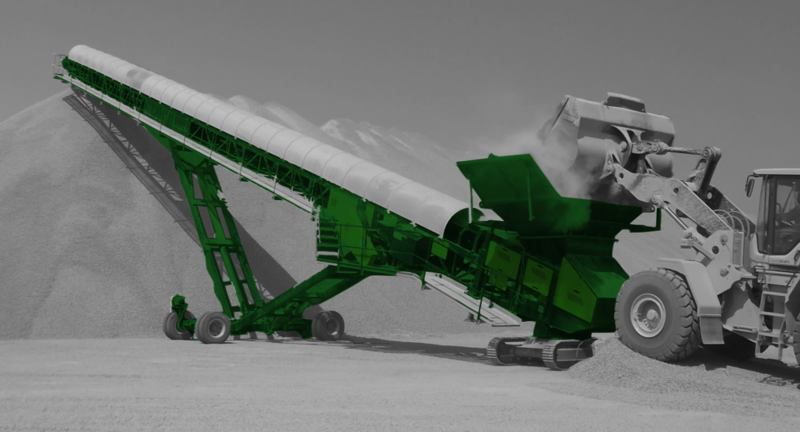 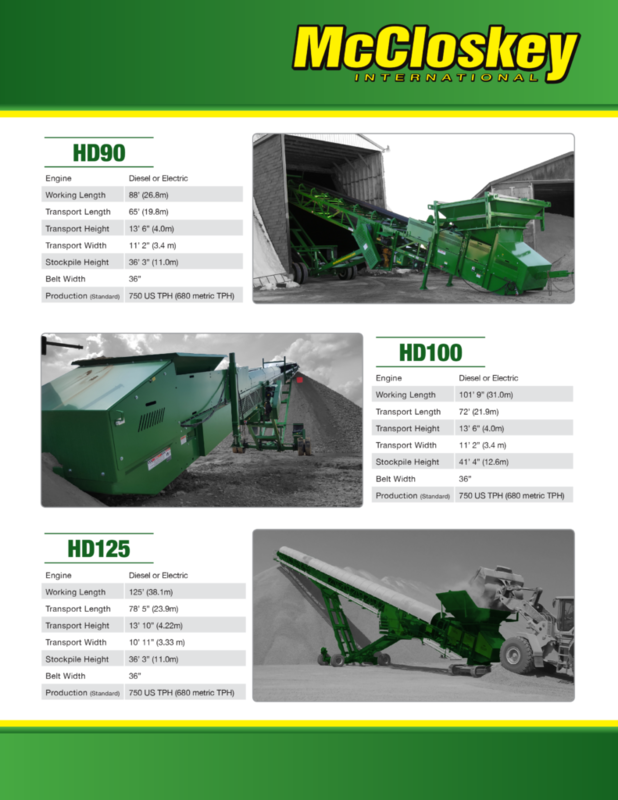 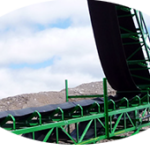 Heavy Duty Conveyors – Bison Iron Corp.
Handling a diverse range of heavy duty applications requires some specialized equipment, which is why McCloskey™ Heavy Duty Stackers are rugged, versatile, and are working across industries around the world. McCloskey™ International builds equipment that can meet the demanding requirements of any customers’ projects. 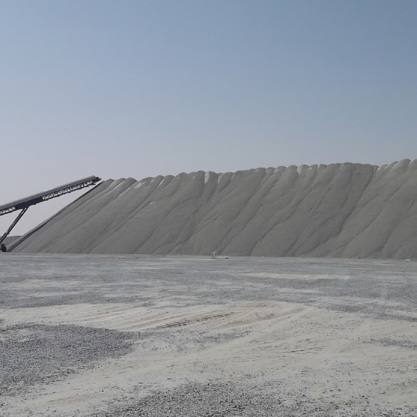 For example, a 42” x 125’ V-Bin Stacker developed and then deployed in Qatar is a heavy duty mobile stockpiling conveyor with track mobility and bogie wheels that allow for quick and easy movement with minimal effort. 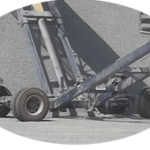 Available tracked bogie provides stackers with maximum mobility. 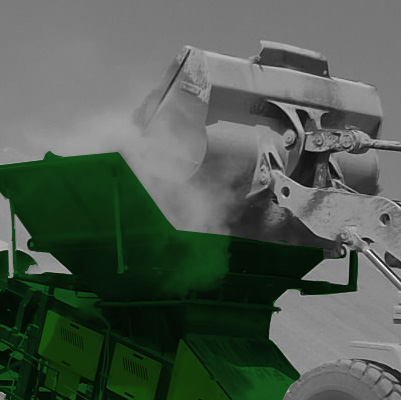 Enables high-volume direct input from large loaders. 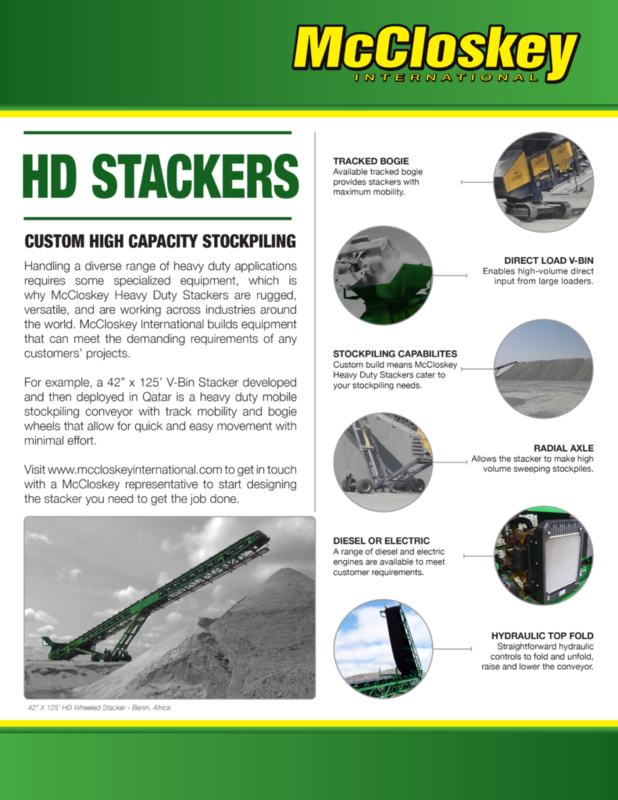 Custom build means McCloskey Heavy Duty Stackers cater to your stockpiling needs. 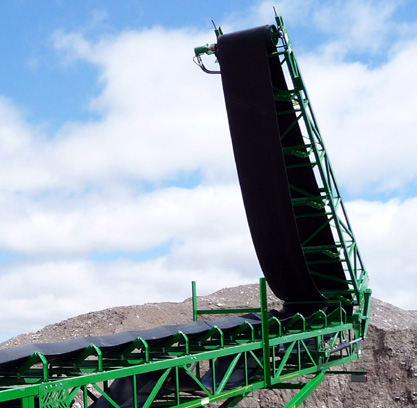 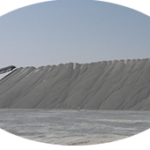 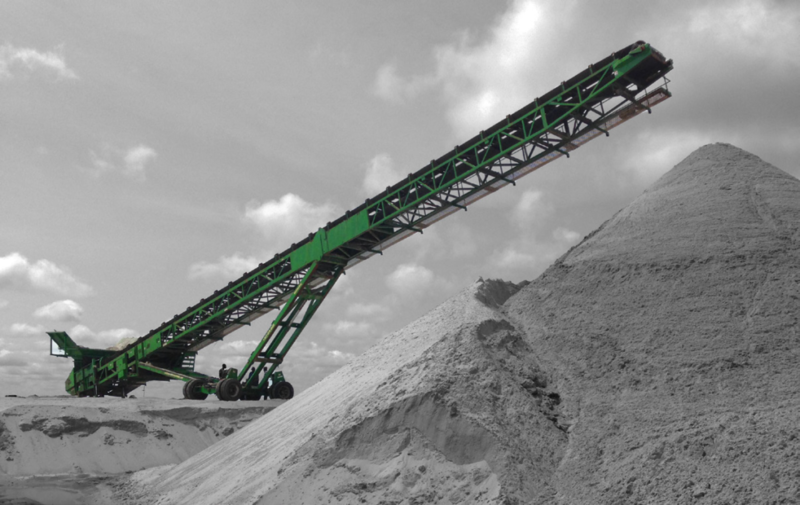 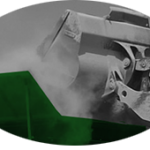 Allows the stacker to make high volume sweeping stockpiles. 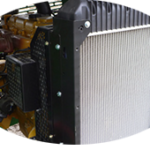 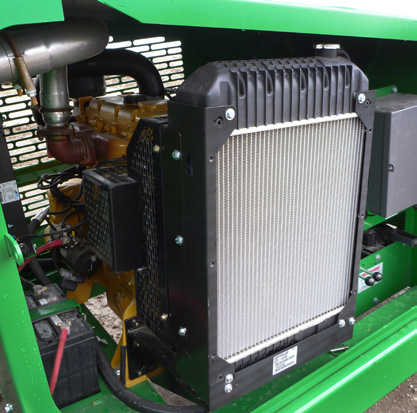 A range of diesel and electric engines are available to meet customer requirements. 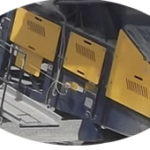 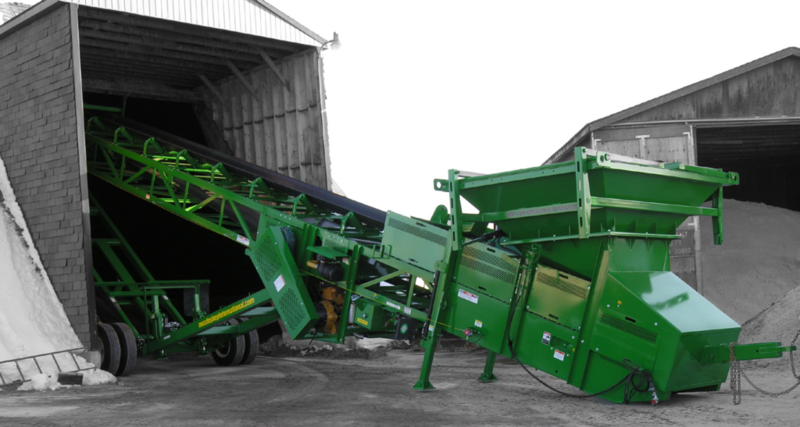 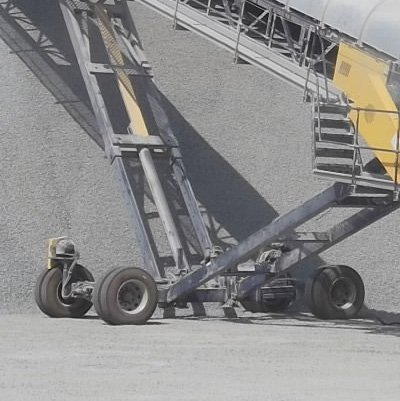 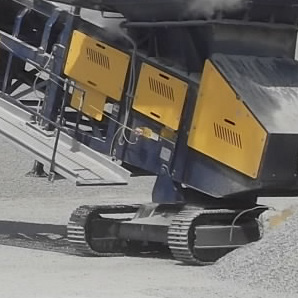 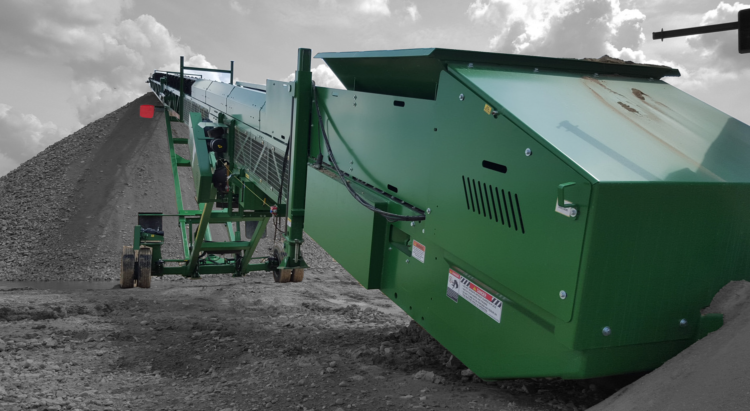 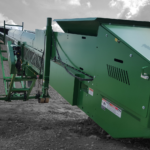 Straightforward hydraulic controls to fold and unfold, raise and lower the conveyor.